Bihar Agriculture Recruitment 2015: The Bihar Agriculture Department is going to announce the recruitment notification for 4391 Agriculture Coordinator Vacancies. Now the eligible citizen of Indian candidates may apply this recruitment. Those candidates who are applying for the Bihar Agriculture job can fill the application from the official website at krishi.bih.nic.in. In this recruitment who are waiting for the Agriculture coordinator vacancies and then apply for this job. Other details like the number of the post, name of post, job location available here. During this Bihar Agriculture Department recruitment 2015 and it's a huge number of the vacancies in the agriculture coordinator (Agriculture Department). The official website will be soon to publish the notification as soon as possible. The Department is going to recruit around 4391 Vacancies in the Bihar Agriculture Department. It will be good news for those candidates who completed their Bachelor Degree in B.SC or Chemistry stream. 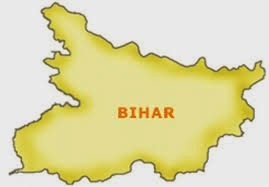 The State of the Bihar is list out the vacancies for the Bihar Agriculture Department. Most of the vacancies filled by the Bihar Staff Selection Commission. The interested candidates go to visit the official site of the Bihar Agriculture Department. In our site, we are updating the latest notification of the Bihar recruitment. It is the one of the best opportunity to the graduate students from the state of Bihar. The interested and eligible candidates apply this recruitment to download the application from the official site and filled the application in the prescribed format along with a copy of educational certificate send to the Bihar Agriculture Department.